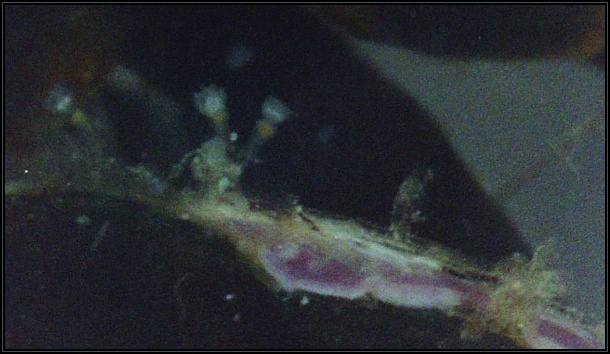 Clytia gracilis is a very small stolonial species of hydroid. It was found growing at the base of a Cystoseira sp. It has circumglobal distribution. The photographic material taken at the time is unfortunately not of the expected quality. However the specimen listed here is described in more detail (p. 189/190) in the following paper published (2013) by Soto Àngel and Peña Cantero.